Alan & Jan welcome you to Marlin Ridge. 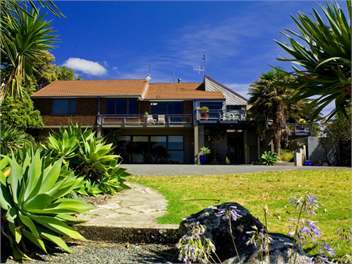 Located in one of New Zealand's most stunning coastal areas we are conveniently located, overlooking the marina with spectacular views down the harbour and out to sea. A stroll down the hill brings you to the Tutukaka Marina where you can hop on a charter boat and enjoy a wonderful day exploring the Poor Knights Islands. Or stroll to your choice of cafe for a relaxing lunch or evening meal. Watch the stingray as they cruise around the marina. When you plan your visit, consider us for your stay. Enjoy our lovely grounds and maybe experience a "Fire-Pit" evening with us! 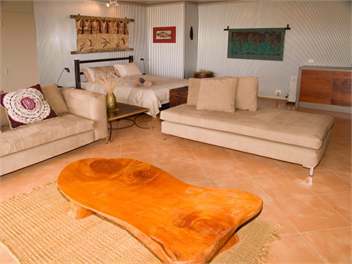 One large studio room with Queen size bed,and single fold away bed, 2 x 3 seater couches, an equipped kitchenette and en-suite with walk in shower and separate toilet. 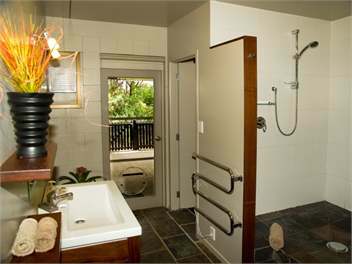 Rates: B&B - $170.00 per night for two. $20.00 extra for third person. Private access. No Smoking in rooms. Our Studio Room features beautiful décor and all the amenities you could need. Included in the tariff is a self serve continental breakfast. - Diving and Snorkelling at the Poor Knights Marine Reserve. 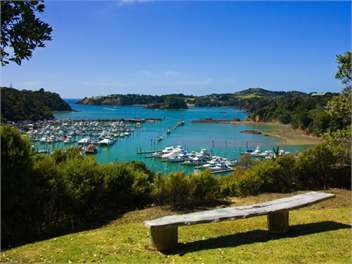 - Sight Seeing, and Fishing Charters from Tutukaka Marina (see club sponsors, charterboats). -Dining at Cafes and restaurants. - Matapouri beach for safe swimming and bush tracks. - Whale Bay bush walk and fabulous picnic beach. - Take surf lessons at Sandy Bay; One of New Zealand's top surf beaches. - Day trip to Helena Bay gallery for a collection of Fine NZ Art and souvenirs, Café and brilliant coastal views. - Many beautiful walking tracks. - Beach fishing and collect Kai moana at our local estuary's Ngunguru and Matapouri. - Walk to the ancient Kauri tree Tane Moana. - Confidence courses at Adventure Forest.